After the Carle Bley Trio performance it was time for dinner. We went to Tomato Head, a pizzeria we had liked on earlier visits. As we walked across Market Square in the center of downtown, we saw the two guys from Mercury Rev [who had also been in the audience for Carla Bley Trio just earlier] sitting outside at the bar next door enjoying the vibe. These two guys seemed to really get around and immerse them selves in the fest. We ate dinner without any further run-ins. Afterward, I set out for the north side of town for a show my wife would be skipping. While I had heard about This Heat when their “Deceit” album was released, I had never heard the band until checking them out for the festival. My wife was initially interested then drifted away as she was exposed to more of their range, which was expansive. They were playing in The Standard and their set began with a bang, literally, as there was an explosion of force and light from the stage. My wife was smart to sit this one out. But that was a brief big bang of sound and vision; lasting less than two minutes as the set quickly became more eccentric and milder in demeanor. I was intrigued by their variety. 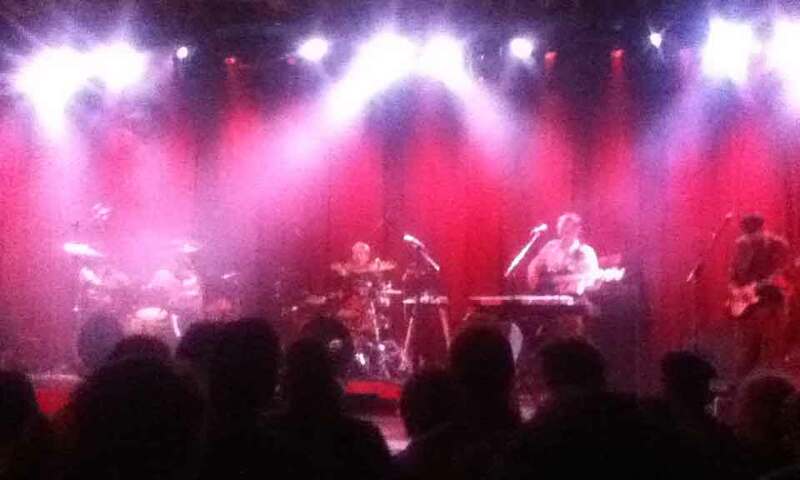 No two songs sounded alike, and they had two drummers to do anything they needed to. Their two Post-Punk albums were held in high regard as outliers to nothing else and I could agree that they definitely walked a singular path. 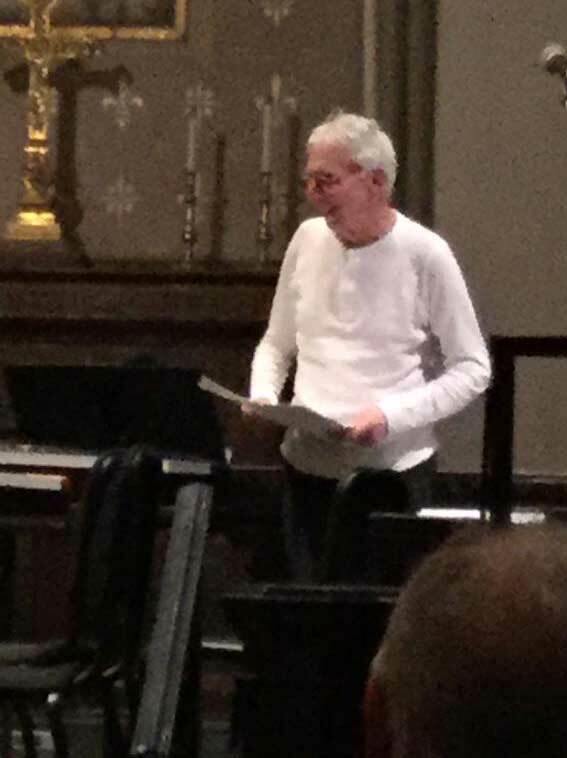 But I was resolved to leave their set early since they played from 7:00 – 8:30 p.m. and Harold Budd and ACME in the Episcopal Church was scheduled from 9:00 – 11:00 p.m. I had seen the fury of the Budd crowd the previous day at the larger United Methodist Church and I was determined not to miss his second show. I resolved to leave This Is Not This Heat by 7:45 since I had to walk across town and get in the Budd queue. I think I had gotten enough of a sense of what this band was as they played their next to final show in Knoxville. As I got to the queue outside of the church, I saw my wife – first in the general admission line. She had been talking to a brother and sister who were next in line behind her. With an hour to showtime, the queue was not long, surprisingly. A far cry from the first show. My wife asked me where I had parked the car and I was briefly dumbstruck as I had not properly picked up on how I was to have moved the car form its berth at the Art Museum to something a little closer to where we would end the night here. Whoops. I had been so focused on how I had to get across town quickly that I had not absorbed that salient fact. As the hour unfolded, there began to be a significant line. The admission to the shows was supposed to begin at 30 minutes prior but this Budd show was also running late as the first one had done. At 9:00 p.m. promoter and mainman Ashley Capps himself exited the church to speak to us in line, informing us that the show would be running late and that he was as helpless as the rest of us in this instance. By that time the line was snaking around the block as it had the day prior. We got in and the show was underway around 9:30 p.m. Though the show also began with a gong solo where the player really explored the space, this time, it was also very different from the previous show from the word go. ACME were the American Contemporary Music Ensemble who had a string quartet here this evening along with the member of nief-norf who had played the tubular bells at the first show also on hand. Budd was on piano and keys. He began the show with piano and after 20-25 minutes, Budd exited the stage to let ACME take over for a little while. Hearing Budd compositions as rendered by ACME was definitely a new lens to experience his music through. 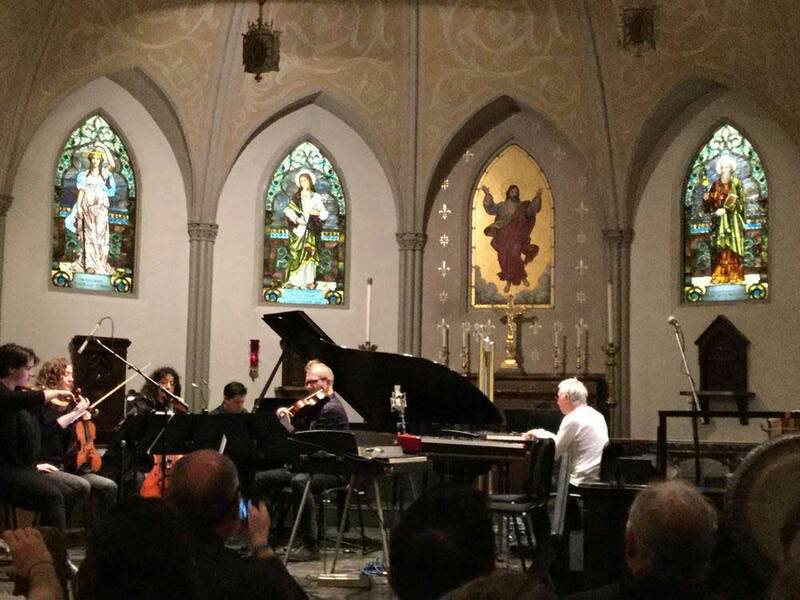 ACME had a member present, Caroline Shaw, who had won the Pulitzer Prize for her music in 2013, and she also played at the festival with Roomful Of Teeth. They love to maximize the potential here at Big Ears. 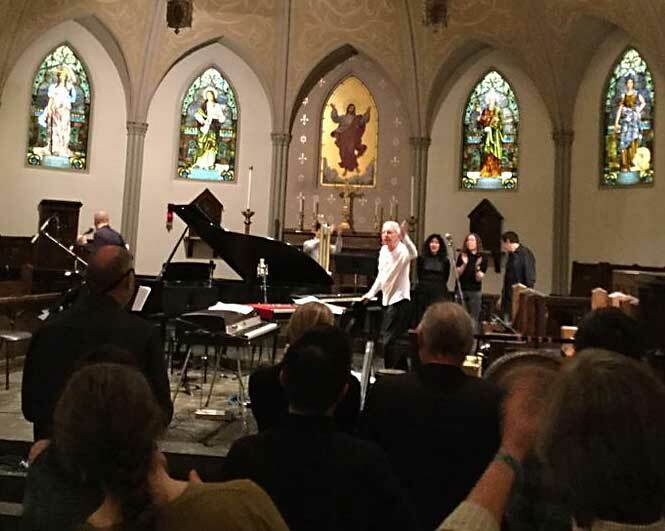 When Harold Budd returned to the stage, he did not play the piano for the remainder of the concert as he stuck with synths and a Fender Rhodes electric piano instead. Budd next played some of his newer music, written for the Toledo Museum of Art show that he performed last year. We were in Atlanta three days later for Simple Minds, so we could not go; making this festival residency a huge payback. Mr. Budd moved between his red synth [I can’t make out the manuacturer] and a vintage Fender Rhodes electric piano, the latter being used for the new piece “Desert Train Whistles And Billy Dracula” which he wrote last year when he didn’t think he had enough new material for the Toledo event. The composition was so named for Billy Al Bengston, one of Budd’s favorite contemporary artists. It’s visual art, more than music, that is grist for Budd’s creative mill. That, and in this case, the desire to hear electric piano combined with chimes. This left us ready for bed with the final day of the festival to play out the next day. 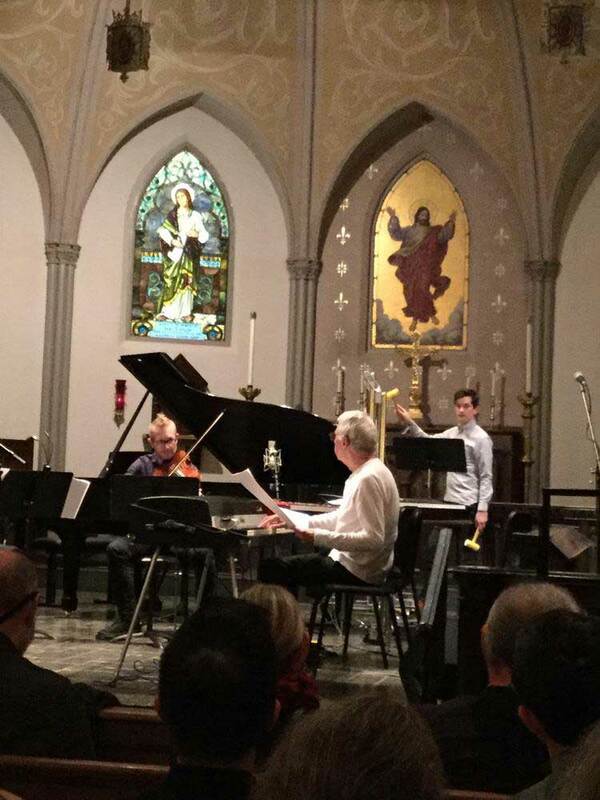 It was an inconceivable luxury to have two Harold Budd shows back to back, and the ride was not over yet. In years past, Big Ears wrapped up by Sunday but this year they were going strong for a fourth day. When they released the schedule some months after we bought our tickets and lodgings, and this necessitated us getting lodgings for another day just weeks prior to the event. 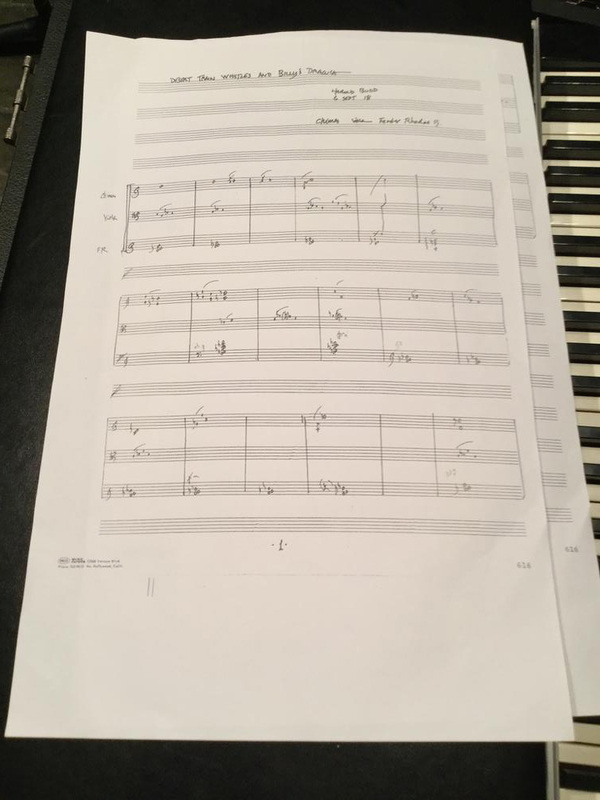 This entry was posted in Concert Review and tagged 2019, ACME, Big Ears, Harold Budd, This Is Not This Heat. Bookmark the permalink. How I envy you two Budd concerts! Some of the other acts you have seen also sound well worth checking out.